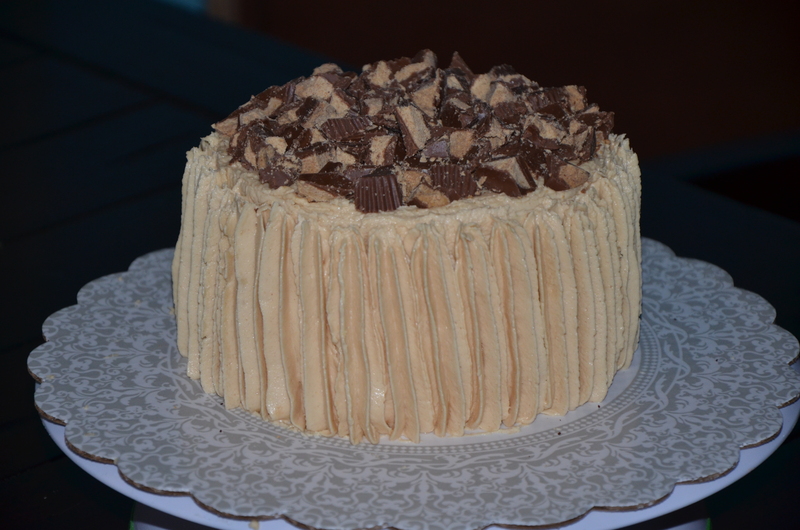 A New Addition to the By Grace Cakes Bakery Gluten-Free Cake Family – Gluten-Free Peanut Butter Cup Cake!!! This fudgy, peanut butter and double chocolate cake is a By Graces Cakes gluten-free celebration cake original. Stuffed with peanut butter buttercream, this cake is as much of a peanut butter cup on the inside as it is on the outside. Make this impressive gluten-free Peanut Butter Cup Cake your Valentine’s Day present! Place your order (available only at the By Grace Cakes bakery, in Bay City, MI) by phone (989) 430-6615 or e-mail today! I have new a business e-mail address, bygracecakes@outlook.com or you can still contact me at awendzik@live.com. This decadent dessert is available for 32.00. Also available in egg-free, dairy free, and flourless varieties.